There are at least two bands named Plaid: 1) Plaid (pronounced \?plad\) are the London electronic music duo Andy Turner & Ed Handley. They are former members of The Black Dog and used many other names (such as Atypic and Balil) before settling on Plaid. They have collaborated with female singers Mara Carlyle, Nicolette and Bj&ouml;rk, and have released records on the labels Clear, Warner, Black Dog Productions, and warp Records. 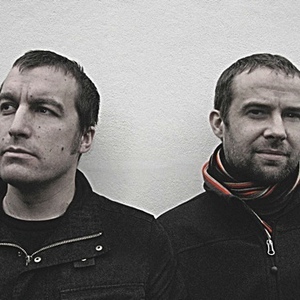 1) Plaid (pronounced \?plad\) are the London electronic music duo Andy Turner & Ed Handley. They are former members of The Black Dog and used many other names (such as Atypic and Balil) before settling on Plaid. They have collaborated with female singers Mara Carlyle, Nicolette and Bj&ouml;rk, and have released records on the labels Clear, Warner, Black Dog Productions, and warp Records. Plaid often work collaboratively with visual artist Bob Jaroc. They have developed a DVD consisting of new material and video artwork to accompany the music, entitled Greedy Baby. The project was completed on July 20th 2005, and has premiered (in the BFI Imax cinema in Waterloo, London). Greedy Baby was released on DVD by Warp Records on May 22nd, 2006. Various sources claim they took their name "Plaid" from the Welsh word for "Party". 2) Plaid was a short-lived Christian Alternative band from Tennessee whose members were Jason Scott Payton, Allen Salmon, Brannon Hancock and Andrew Adams. Their introspective lyrics and guitar-driven rock stylings on their 1998 debut album "Understanding God" (with ample use of other instruments, such as saxophone, cello and trumpet) gave this band a unique sound. The group disbanded to allow individual band members to become more active in their respective churches.